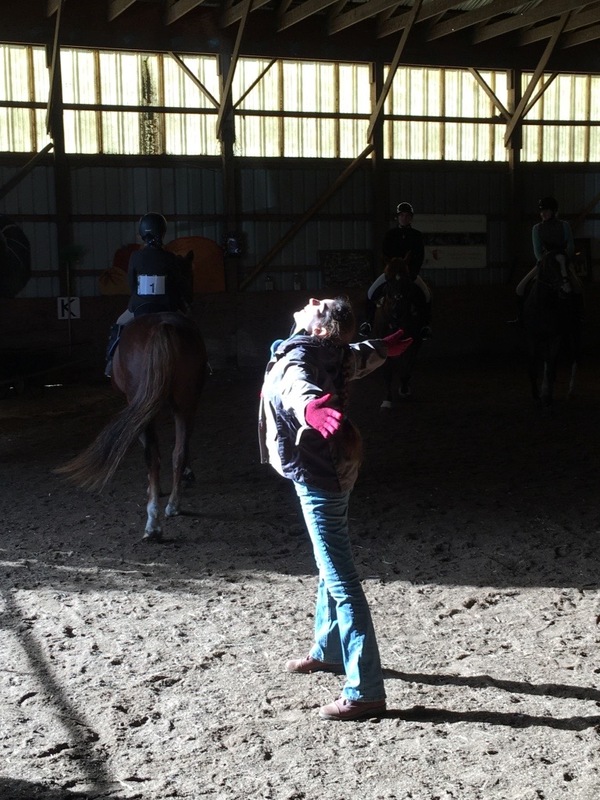 Horse Amour is a small dressage and combined training barn in the Green Mountains of Vermont. We are home to innovative and unique equine activities, and are committed to the comfort and happiness of our horses. Located in the quaint & historical college town of Castleton, we have a spectacular southern view of the Birdseye Valley. Our entire facility is at the top of a dead end dirt road. We have a 60 x 120 indoor riding arena, 36 stalls, an outdoor sand dressage arena and a huge stadium jumping arena. We have built an ever expanding cross country course, with 3 levels for a total of over 50 obstacles. We are constantly building and improving on our facility. 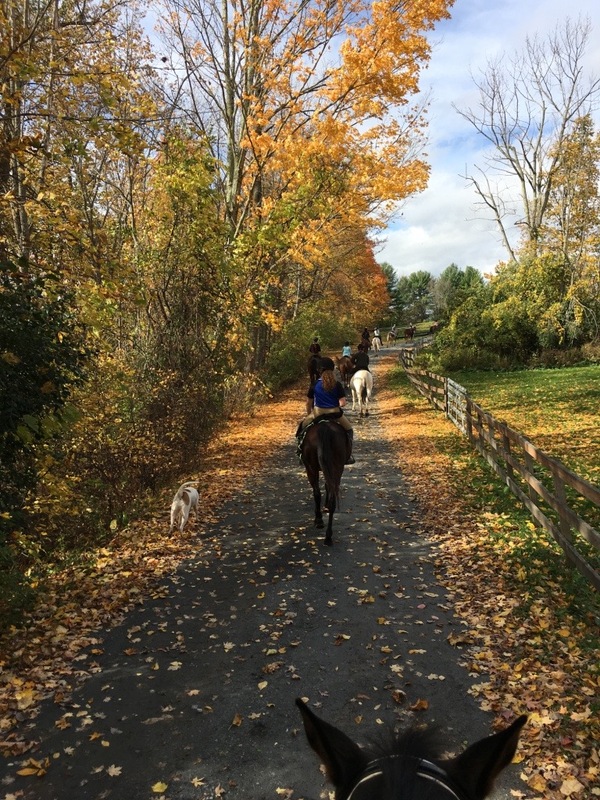 We are home to the world's best schoolhorses, instructors and boarders, and the home of Horsepower 4-H Club, Rutland County Pony Club, Vintage Horsepower, and Horsemasters, the adult version of Pony Club. We hold many activities year round, as well as attending away shows and events with our staff, boarders and students.To inquire about becoming part of our terrific family, give us a visit, send us an email or give us a call. Our cross country course winds around the property. Our sand dressage arena is surrounded by peaceful woods on 3 sides. 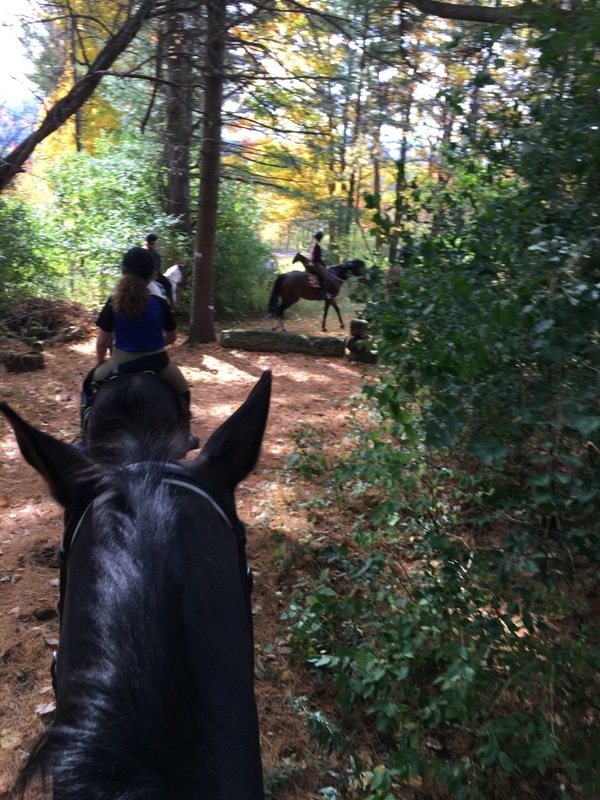 Our dead end dirt road is a very pleasant and easy trailride. We have limited trails on our small property, but this loop through the x/c course is great. And of course our indoor arena allows us to ride, whatever the weather! After a spring turnout—grass hangovers!!! After a shower, look where the rainbow ends!